Make your outstanding website even more user-friendly by allowing your visitors to become users. Allow them to register in your site and create their profile with any fields of your choice. A profile builder plugin can be all that you need. And what is the best solution for you? You are tired of finding a great plugin to for your needs? No worries, you are now in the right place. User Meta Pro can be your one stop solution. As a profile builder plugin you can add fronted login, registration and profile update page to give your precious users all the flexibility. 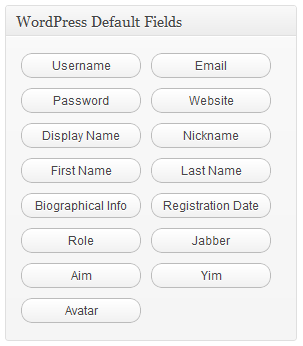 There are bunch of extra custom fields besides the WordPress default fields, that will surely come handy in order to make any rich and friendly user management and profile building system. This plugin has simple yet a powerful user interface. It offers advanced features and functionalities in the simple and user-friendly manner. Front-end user registration by shortcode, Widget and Template Tag. Fields and forms editor to customize front-end user registration. Create unlimited forms for custom user registration. Add extra fields to custom user registration. Show user avatar in registration page (both ajax and non ajax). Allows user registration without a username, just email. Build user profile with drag-and-drop fields then show that profile at front-end or backend. 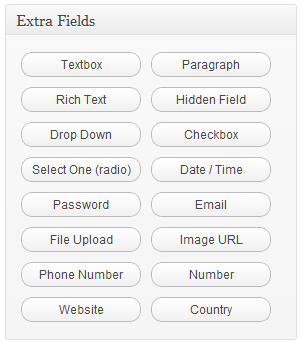 Fields and forms editor to customize front-end user profile. Create unlimited forms for custom user profile. Add extra fields to custom user profile. User profile at front-end using shortcode, widget or template tag. Allows user to update their profile on front-end. Hide unnecessary fields from backend profile. Show user avatar in profile page (both ajax and non ajax). Add profile link to users listing page. Ready to use login facilities with several configurations. Forget Password and Reset Password options in front-end. Customize the whole login page with extra fields. Login users with username, email or both username/email. Show role based data after login. Auto user login after registration. Why Not Give User Meta Pro a Try Now!